Heat the oil in a saucepan over medium heat. Add onion, sugar, and garlic; sauté 5 minutes. Add tomatoes, 1 tablespoon chives, salt, pepper, and broth; cover, reduce heat to low, and simmer 20 minutes. 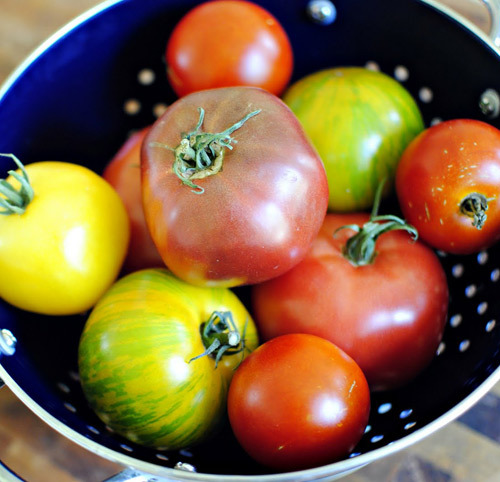 Place tomato mixture and yogurt in a food processor, and process until smooth. Pour mixture into a bowl; stir in milk. Cover and chill. This entry was posted in Entrees, Modified Profast (Fast and Flexible) Recipes, Soups, Vegetables and tagged cherry tomatoes, chives, cold tomato soup, healthy, main dish, Metabolic Medical Center Recipes, nonfat greek yogurt, onion, tomato soup by foodies4mmc. Bookmark the permalink.